No-one likes being taken off-guard. When it comes to preparing for an interview, we all do what it takes in advance to be as ready as we can. We research the company, we dress to impress and fundamentally, we go in there guns blazing and super confident. So what happens when, despite all your preparations, something goes terribly wrong? Something happens and hits you so hard and out of the blue that you are knocked off your perch and into a never-ending well? Do you go bright red in the face? Do you jump across the table and grab the interviewer by the tie? Do you get up and walk straight out and not look back? There will come a time when a question or an event catches you by surprise. The key is to know what to do about it and by knowing what the biggest mistakes you could ever make are, you can avoid them. So without further ado, what are the worst interviewing bloopers on this planet? Picture the scenario: You apply for a job at a business magazine and are asked “What’s been the biggest breaking business news this year?” Gulp, you don’t know the answer! What’s the point in wasting your time and the interviewer’s time if you don’t know your stuff? If you don’t know anything about business, don’t apply for a position in business. If you haven’t got the foggiest idea about fashion, don’t apply for a job in fashion. Simples. It will hardly get you off on the right start if you can’t even recall the name of the firm and they may probably sanction you if you don’t even know your own name. If you apply for numerous jobs at various firms and you can’t keep up with which interview you are actually at, write the name of the company on the palm of your hand. Then, if you forget where you are at, you can casually look at your hand as a memo. Just remember which hand you’ve marked when it comes to shaking hands, or you’ll get ink all over the interviewer! No-one likes an eager beaver, so don’t arrive too early. You’ll catch the interviewer off guard, straightaway you’ll be in their bad books, and you’ll sit there sweating nervously until they are ready. Try to get there no earlier than 10 minutes. Obviously arriving late is not an option! It is customary to be formal and polite in an interview. Even if your interviewer is being casual and jovial, never swear or use vulgar language. They may be down-to-earth but using expletives just shows that you have a limited vocabulary. Most definitely avoid swearing if it is a public facing position, or if it is a religious organisation. Yes you are passionate, yes you are probably organised but blah blah blah blah. So what? The interviewer has probably heard this several times by several other candidates. If you are going to sell yourself, be unique! Gone backpacking across Europe? Volunteer at the local youth school? 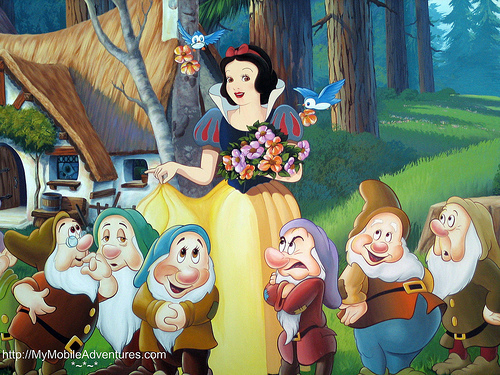 Have seven cats named after Snow White’s dwarfs? Discover what makes you different and it will set you apart from the rest. What kind of job you are applying for will affect what you wear. If you have an interview at a reputable law firm, turning up in jeans, converse trainers and a t-shirt is a no-no. This may be acceptable for a Sunday retail job but for an office post – a suit or formal outfit is a must. Whatever you wear, make sure it is clean and ironed and that you have matching socks on. We’ve all heard the saying “sleep your way to the top” but this is a hopeless case. Whatever you do, do not make a pass at the interviewer. You may be desperate for the job and willing to do whatever it takes, however, it will nine times out of 10 get you nowhere. Pretty much everyone has a phone. Even one in 10 five-year-olds own a mobile nowadays. It is common courtesy and pure sense to turn your mobile phone on silent before you go into an interview. If you want to be extra cautious, turn it off completely. A phone call from your mum asking what you want for tea in the middle of an interview is a major blooper. So there you have the top 8 worst mistakes you could ever make in an interview. Now whatever you do, avoid them like the plague. Author: Dough Barden is managing partner of barlow-andrews.co.uk, who specialise in financial planning.